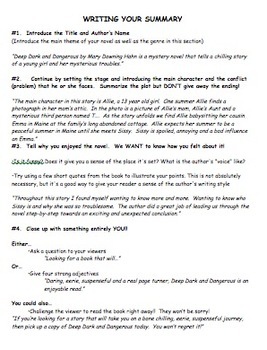 This product provides detailed directions to assist students in writing compelling book summaries. 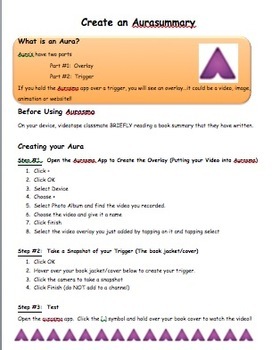 Next, it provides students with step by step directions to create an Aura out of their book summary. Students will video tape themselves (or a classmate) reading their book summary. Then they will upload that video image into the Aurasma app and designate their book cover as a trigger image. Each time the Aurasma app is aimed at the book cover, their video recording will play!! If you are unfamiliar with the Aurasma app, I encourage you to look at it! Aurasma takes QR Codes and augmented reality to a new level by allowing target images to trigger animations, links, images, videos and more!